Experience Sony Pictures Studio Tour and step back into a legendary time! 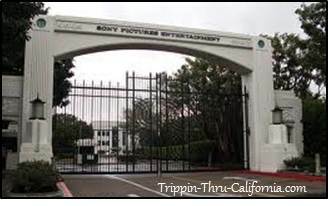 The Sony Pictures Studio Tour is located on one of the world's most famous studio lots. Make sure to call ahead, of course. By scheduling an exclusive tour, your group will get the star treatment. Your guide will take you and your group on a walking tour of the historic Sony Pictures Studio lot, sharing tidbits, studio lore and trivia on current productions. Groups visit various sound stages, watch a scenic artist create a stunning backdrop, and stop to shop at the exclusive Studio Emporium. Have a delicious lunch on the lot. Have your next party or function at the studio. The studio tours are always a hit with party guests! Note: This information was accurate when I published it, but can change without notice. Please be sure to confirm all details before planning your trip.